Lucas Ossendrijver and Lanvin have experimented with some additional, out-of-character details and have brought to you these high tops. There is something new here with the metallic eyelet pieces but to its core, it's still Lanvin's classic laced high trainer, only in a combination of jersey felt and suede, and equipped with the usual Lanvin rubber solce and calf skin lining. 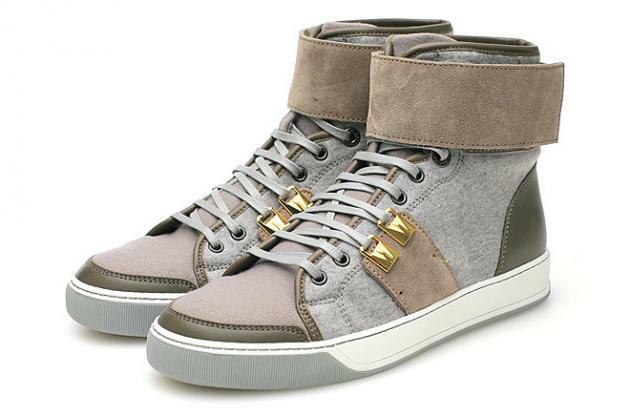 These high tops are available here.